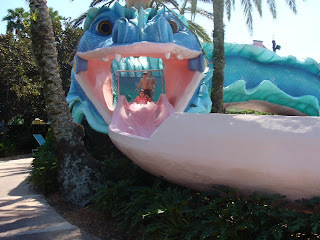 Picturing Disney: Magical Moment Monday: Fun Times at Port Orleans Resort! Magical Moment Monday: Fun Times at Port Orleans Resort! Shannon from Addicted to Mickey and her family really enjoyed the amenities at Port Orleans Resort! 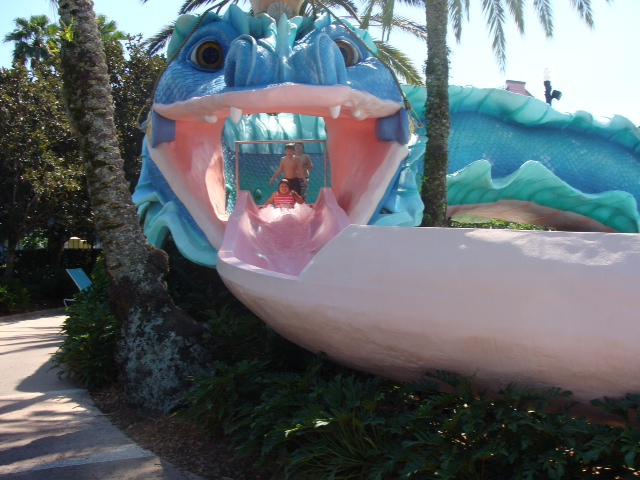 "My kids thought the slide at POFQ was the best we'd ever seen. Over and over again, the slid down the dragon's tongue." "Clay's favorite hobby is fishing and he was so excited to be able to do it at Disney's Port Orleans Riverside." If you want to check out more of Shannon's pictures and articles you can also find her on The Disney Moms!